Ronald K. Decker, of White Haven, died Sunday morning, January 20, 2019, with family by his side. 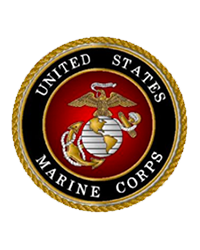 Born in Brooklyn, he was the son of the late Russell and Grace Gunn Decker and later joined the Marines and served honorably. Ron was a Retiree of NY C transit authority; enjoyed discussions of early films and had unlimited knowledge of cinema. He was a dedicated family man with deep affection and generosity for his children and their children, which was a blessing. Mr. Decker was a devoted Catholic, a member of St. Patrick's Church, White Haven and was an energetic participant of church activities, as a staff member with an unwavering devotion to duty. He was an active lifelong member of the Knights of Columbus Council 10616 and its 4th degree and member of the White Haven Marine Corps League and was an avid NY Yankees fan. In addition to his parents, Ron was preceded in death by his loving wife, Katherine Drew Decker in 2003; son, Ronald Decker in 2017 and two sisters. He leaves behind to cherish his memory, sons, Kenneth R. Decker and his wife, Maureen, Brodheadsville; Alan Decker, White Haven; daughter in law, Lorraine Decker, Mountain Top; grandchildren, Kathleen, Kenneth, Gregory, Ronnie, Katherine, Jennifer, Joseph, Michael, Debbie; great grandchildren, Monica, Brett, Jody, Christopher, David, nieces and nephews and extended family from Queens and Long Island. Funeral service will be conducted on Friday, January 25, 2019, at 9:00 am from the Lehman Family Funeral Service, Inc. 403 Berwick St. White Haven, with a Mass of Christian Burial at 9:30 in St. Patrick's Church, 411 Allegheny Street, White Haven. Reverend Michael Kloton will officiate. Interment, with Military Honors will be in St. Patrick's Cemetery. Friends and family are welcome to visit at the funeral home on Wednesday, January 23, 2019 from 4 to 6 pm; Thursday, January 24, 2019, from 4 to 6 pm and Friday morning from 8:45 until time of service, at the funeral home. In lieu of flowers, donations may be sent to St. Patrick's Church, 411 Allegheny St White Haven. May God Bless him on his journey.